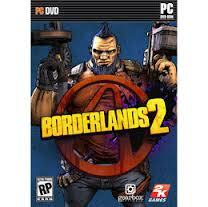 There is a new Borderlands 2 patch out. It fixes a lot of bugs and glitches. It fixes some saving issues to help peopel with corrupt save file problems. Some hack exploits were fixed too. AND, they made Terramorphous, Willhelm, and Blue (bosses) harder by increasing their total HP. -- Fixed fast travel stations from downloadable content sometimes disappearing when loading a saved game. -- Fixed an issue where players could occasionally be unable to connect to one another if one of them had recently been in DLC that the other doesn't have. -- Fixed an issue where players were sometimes unable to pick items up after another player had bulk-picked-up a nearby item. -- Fixed a bug in the inventory UI when quickly scrolling to the bottom of a list using the mouse wheel. -- Improved PhysX fluid rendering quality at high resolutions. -- Improved NVIDIA 3D Vision integration. -- Fixed the "Inverted reverse steering" option not working for clients in a multiplayer game. -- Fixed the player's backpack sort setting not persisting. -- Fixed an issue causing players to sometimes crash or freeze after killing Master Gee in the Captain Scarlett DLC. -- Fixed challenges showing inaccurate completion amounts for area-specific challenges. -- Fixed a bug where the player's active mission would sometimes fall back to main-game missions when completing other missions in DLC areas. -- Fixed a bug that could cause players to lose mission rewards that they had not claimed when switching between Normal mode and True Vault Hunter mode. -- Added a confirmation dialog when opening the golden chest in Sanctuary. -- Fixed Arid Nexus Badlands showing an undiscovered challenge that was not attainable. -- Restored some lost progress to players who have had their profiles reset. To ensure you are credited for as much progress as possible, please load your character, select "Continue" on the Main Menu, and then "Save and Quit" after you enter the world. Repeat this process for each character in your character list. -- Fixed the Mechromancer's Anarchy skill sometimes losing stacks incorrectly for multiplayer clients. -- Fixed a bug causing players to sometimes get stuck zoomed in when in "fight for your life" mode. -- Fixed challenge "For The Hoard!" to work properly after resetting challenges. -- Fixed a bug that could sometimes cause players' skill points to be reset when loading their character. -- Fixed a bug that could cause enemies and missions to be locked to an incorrect level. -- Fixed bug causing Tediore reloads to get Amplify shield damage bonuses for each round remaining in the clip. -- Amplify damage from Amplify Shields is now divided among all projectiles fired from a single shot. -- DLC raid bosses no longer drop Seraph crystals in Normal Mode. -- Reduced level of DLC raid bosses in Normal Mode. -- Fixed issue resulting in infinite leveling exploit with Fleshstick. -- Increased the health of Terramorphous, Willhelm, and Blue. -- Additional miscellaneous balance tweaks.